In June 2017 I posted Labour to begin killing badgers in Wales later this year. The response it generated was greater than any other article that’s appeared on this site, especially on Facebook, split roughly 50/50 between those condemning Labour and those condemning me!! It was angrily dismissed as “fake news” and I was called a Tory troll among many other insults. Unfortunately it was all too real. From August to November 2017 a total of 37 badgers were trapped and their blood was tested for TB at the setts. Any that tested positive were killed – five in all. After post-mortem examinations on the bodies, the blood test was repeated in the laboratory but the results were negative, no infection was present. 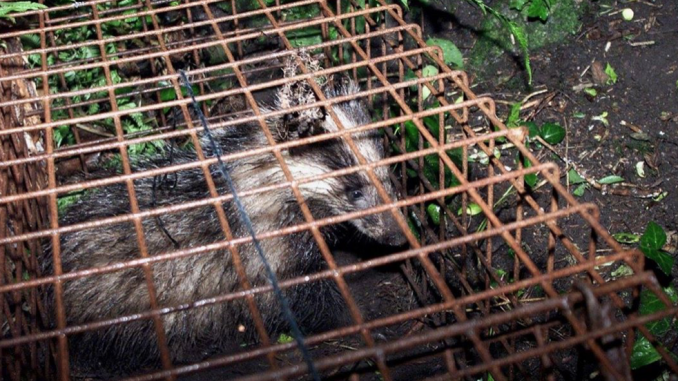 The costs of the trapping, blood tests and post-mortem examinations came to £383,112 – the equivalent of £76,622 for each badger killed. As well as being a tragic waste of life, it was an outrageous waste of money. We know this thanks Stop the Welsh Cull’s (SWC) Freedom of Information request to the Animal and Plant Health Agency. The official response of the Welsh Government when asked how many badgers they killed was “yet to be determined” and they also refused to divulge the cost. On its Facebook page SWC published details for the three farms where badgers were killed: Ackley Farm near Welshpool, Upper Trostra Farm near Pontypool and Ffynongain Farm in Pembrokeshire. The Farmers Weekly claimed this was “irresponsible ” as it threatened “the security of farmers and their neighbours.” The president of NFY Cymru said: ““Our primary concern now is for the well-being of those farmers affected by this breach.” Naturally there was no concern for the innocent animals who perished. But those with expert knowledge of badgers and bovine TB condemned the cull. Rosie Woodroffe of the Zoological Society of London said “sounds like a rubbish blood test” and the Badger Trust went further, stating it “sends out a very clear signal to the farming and livestock veterinary industry in Wales that any form of badger culling is a hugely costly distraction from dealing with the key causes of the spread of bovine TB…industrial pollution from the intensive livestock industry”. So where do we stand now? Welsh Labour clearly wants to remain silent. The close season ended on 1 May but as far as we know there has been no trapping yet although SWC says it has “credible reports of signs of pre-cull activity at high risk farms.” It has published a map of high risk farms in Wales, with red markers denoting those with the longest lasting TB occurrence, as they are the likeliest to start culling. For unusual activity that could indicate killing has restarted and let us know. Also report lapses in biosecurity measures the farms involved are obliged to carry out. Recent stories in farming press say farmers have criticised the Welsh government’s strategy as being too costly due to the requirements to make their farms more biosecure. In last year’s post I said any reasonable person would assume Labour’s promise to “end the badger cull” just before the 2017 general election “meant there would be no culls at all under Labour, especially as the Welsh government had stated on numerous occasions that it had no plans to kill badgers because it was ineffective and inhumane.” Now UK Labour is calling again for an end to the cull knowing full well that Labour in Wales has killed and will, in all likelihood, continue to kill badgers there. Last year I conceded there is nothing the Labour’s leadership can do to stop the Welsh government going ahead with the cull because those powers are devolved. But to ignore what is going on in the only part of the UK where the party holds power and then try to claim Labour as some sort of beacon for animal welfare is political mendacity at its most blatant. What I said last year provoked howls of outrage because I to dared criticise Labour just as it had exceeded all expectations at the general election and Corbynmania was reaching new heights, particularly among young people at Glastonbury who were chanting “oh-oh Je-re-my Cor-byn” as the love affair with the leader really took off. In truth my attacks weren’t directed at him personally – I’m sure he wouldn’t agree with badger culls anywhere – but with the party itself. I pointed out that as far as the animal rights was concerned, Labour had a long and ignoble history of making promises but not keeping them. New Labour under Blair went even further and declared war on the animal rights movement, especially its antivivisection wing. A lot has changed since then, of course, but despite the crowning of Jeremy Corbyn as the most leftwing leader in the party’s history, what the Welsh cull shows is that as far as Labour is concerned you can’t teach an old dog new tricks.